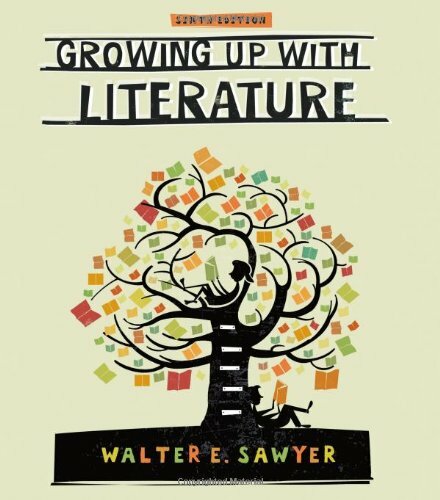 GROWING UP WITH LITERATURE, Sixth Edition, provides a practical and understandable presentation of how to use children's literature/picture books to enhance literacy and language development in children ages birth to eight years. You will learn effective strategies for selecting and evaluating books, planning reading experiences, sharing stories with children, and using stories to help children deal with stress and problems (bibliotherapy). All genres of literature are addressed, including ABC/Counting books, folk and fairy tales, fables, and traditional/contemporary fiction and nonfiction. With 200 new children's literature titles, and up-to-date research on language development and brain development, this edition is on the cutting edge of knowledge in this area. Last edited by arcadius; 05-21-2017 at 02:18 PM. Last edited by arcadius; 03-03-2015 at 02:55 PM. Why does my F-Secure antivirus blocks me from going to the website 2shared and solidfiles saying that they have been reported as dangerous. Is this true? @lavina , I really don't know what could be the reason. Anyway, I deleted all expired links and added new ones. Check the header now. Four (4) working links.